Beef cattle and lambs reared on grass rather than cereals can have potential health benefits for humans eating the meat. Researchers at the University of Ulster, supported by AgriSearch, Northern Ireland Agricultural Research and Development Council, have found that grazing for at least the final six weeks prior to slaughter gives beef and lamb much higher levels of long chain omega-3 polyunsaturated fatty acids, which are known to enhance human health. The long-term implications for human health are positive with long chain omega-3 polyunsaturated fatty acids widely recognised as providing numerous human health benefits, particularly to heart health. This collaborative research project was supported by the Livestock and Meat Commission (LMC) and the Agri-Food and Biosciences Institute (AFBI) of Northern Ireland. 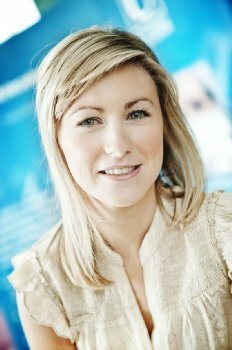 Dr Alison McAfee from the Northern Ireland Centre for Food and Health (NICHE), based at Ulster’s Coleraine campus, said: “The research shows that moderate consumption of red meat from grass fed animals could increase blood plasma and platelet long chain omega-3 polyunsaturated fatty acid concentrations in healthy humans without any effect on blood pressure or serum cholesterol. Many consumers already purchase food products enriched in these fatty acids such as fat spreads and eggs; however the main source is oily fish. Dr McAfee continued: “Almost 90 per cent of the population consume red meat, but in the UK as a whole only 27 per cent eat oily fish, the major source of long chain omega-3 polyunsaturated fatty acids in the human diet. For those who do not eat oily fish, grass finished red meat has the potential to supply 41% of their total daily long chain omega-3 polyunsaturated fatty acid intake compared to just 29% that can be obtained from livestock finished on cereal-based diet.